GFriend, also known as Girlfriend (여자친구), debuted on January 16, 2015 under Source Music Entertainment. 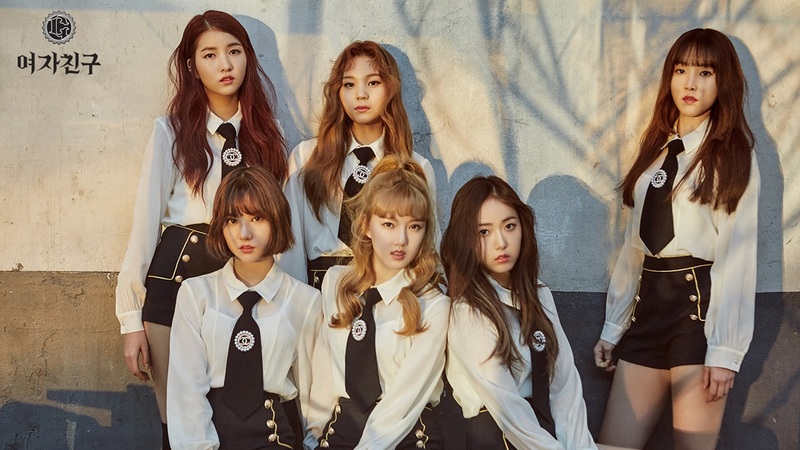 The group consists of six members: Sowon, Yerin, Yuju, Eunha, SinB, and Umji. They released their debut mini-album called “Season of Glass” with “Glass Bead” as the title track. They also released the music video of Glass Bead on the same day. On the following day, they made their stage debut at MBC’s Music Core. They gained popularity from their second mini-album “Flower Bud” with Me Gusta Tu as the title track. Me Gusta Tu received lots of love from the Korean public. They got attention because of their performance on SBS’s Radio Open Broadcast. They managed to complete the performance of Me Gusta Tu, despite the slippery stage. The girls slipped and fell all over the stage. One of the members, Yuju, reportedly fell eight times during the performance. GFriend has released 5 mini-albums and 1 studio album from their debut up until now. They won “Best Korean Act” at the MTV Europe Music Awards. GFriend released their fourth mini-album “The Awakening” on March 6, 2017. The mini-album came with six songs with Fingertip as the title track. The music video for Fingertip was released on the same day. GFriend began promoting the mini-album with a concert. They performed Fingertip for the first time on Mnet’s M! Countdown on March 9, 2017. They were wearing black uniforms and showed their girly side. The following day, they were promoting the mini-album on KBS’s Lee Hongki’s Kiss The Radio, and they sang Fingertip live on that visual radio broadcast. On March 10, 2017, they made an appearance on Yoo Hee-yeol’s Sketchbook. It is a combination talk show/live music program. Aside from Fingertip, GFriend also performed a special stage version of No.1 and So Hot by Wonder Girls, as well as Mister and Into The New World by Girls Generation. Fingertip got its first win on SBS’s The Show on March 14, 2017. The song got its second win on the same music show on April 11, 2017. They ended the promotion for The Awakening on MBC’s Music Core on April 15, 2017. The song’s peak position on the Gaon Digital Chart was number 2. GFriend made their second comeback in 2017 by releasing the fifth mini-album called “Parallel”. “Parallel” debuted as number 3 on the Gaon Album Chart. The album came with eight tracks, and they chose Love Whisper as its title track. Love Whisper charted number 2 on the Gaon Digital Chart. They began promoting the song on MBC’s Music Show Champion on August 2, 2017. The next day, they promoted on Mnet’s M! Countdown. The following day, August 4, they performed on KBS’s Music Bank. They continued the promotion on MBC’s Music Core on August 5, and SBS’s Inkigayo on August 6, 2017. GFriend won four trophies for this promotion. Love Whisper got its first win on SBS’s MTV The Show on August 8, 2017. The next day, they also won a trophy from MBC Music’s Show Champion. The song got its third win on KBS’s Music Bank the following day. On August 13, 2017, “Love Whisper” got its fourth win. They ended the promotion for Love Whisper on SBS’s Inkigayo on August 27, 2017. Two weeks after they ended the promotion for Love Whisper, GFriend were back with a new song called Summer Rain. 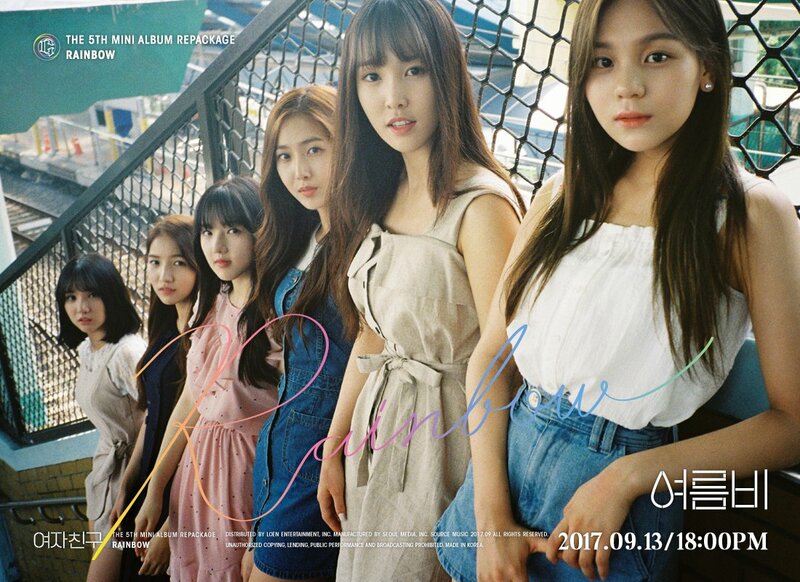 “Summer Rain” is GFriend’s third single in 2017. The song is included in the GFriend repackage album “Rainbow”. It was released on September 13, 2017. The mini-album comes with 10 tracks, 8 tracks from the previous album “Parallel” and 2 new tracks. It debuted at number 11 on the Gaon Digtal Chart. The promotion for Summer Rain began on September 14, 2017 with a performance of “Intro” and “Summer Rain” on Mnet’s M! Countdown.  The next day, they performed on KBS’s Music Bank in white outfits and black neckties. Summer Rain got its first win on SBS MTV’s The Show on September 19, 2017, and got its second win on Mnet M! Countdown on September 21, 2017. The following day, September 22, 2017, they wrapped the promotion for Summer Rain on KBS’s Music Bank. GFriend was one of the performers for KCON in Japan, along with BLOCK B, CODE-V, K.Will, PENTAGON, SEVENTEEN, Boys 24 Unit Black, and WJSN on May 21, 2017. KCON in Japan was held in Makuhari Messe in Chiba. They performed Fingertip in white outfits. The broadcast for KCON Japan aired on May 25, 2017. KCON New York was held at Prudential Center on June 23 and 24, 2017. GFriend performed three songs Navirella, Fingertip, and Rough on the first day. The main vocalist, Yuju, also perfomed on a special duet stage with Highlight’s Dongwoon. The two sang “Beauty and the Beast” and got lots of cheers from the audience. KCON New York aired on Mnet on July 6, 2017. Music Bank announced that they will hold “Music Bank in Jakarta 2017” at JIExpo Kemayoran. GFriend is one of the guests, along with EXO, B.A.P, and NCT127. The show was held on September 2, 2017. GFriend performed their hit songs “Me Gusta Tu”, “Rough”, “Fingertip”, and “Love Whisper”. Eunha sang “I Remember” by Mocca (local band) as a special stage performance. Yuju got a special duet with EXO’s Chanyeol, and they sang a song off of the OST of popular drama “Goblin” called “Stay With Me”. 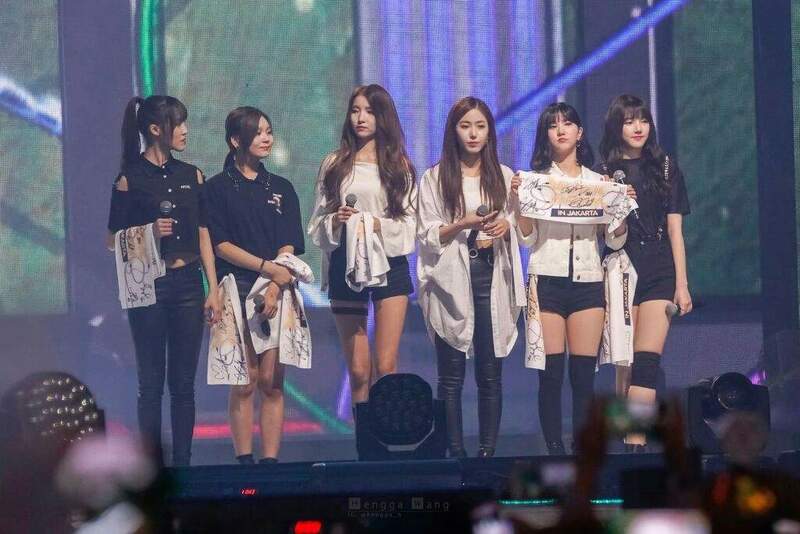 GFriend started 2018 off by holding their first concert, called “Season of GFriend”. It was held for two days on January 6 and 7 at Olympic Hall, Olympic Park Seoul. The 6000 tickets were sold out in three minutes. On January 11, Source Music announced that GFriend will hold a tour for “Season of GFriend”. The tour kicked off in Taiwan on February 28 at Xinzhuang Gymnasium. They will continue the tour in Hongkong, Singapore, Japan, and Thailand.